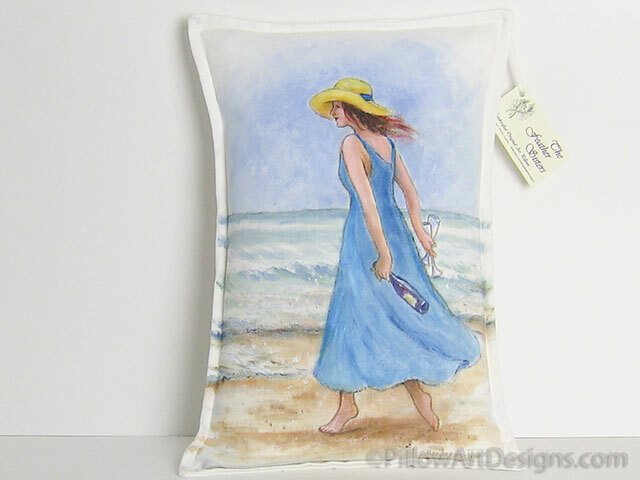 This fabulous beach decor pillow features a lady in a long blue flowing dress and wide brimmed sun hat walking the beach, holding a wine bottle and two glasses. 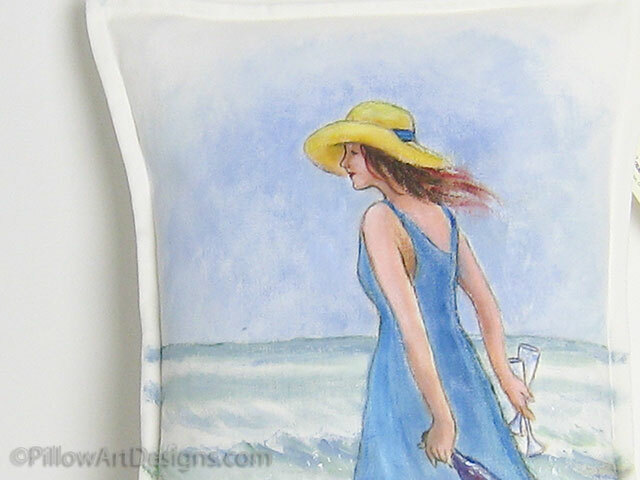 The surf in the background gives a misty and warm summery mood to this artistic decorative piece. 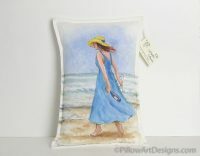 Perfect beach house decor, or as a mood setting accent in any room. All Feather Sisters artwork is by Canadian artist Carol Henderson-Pew. 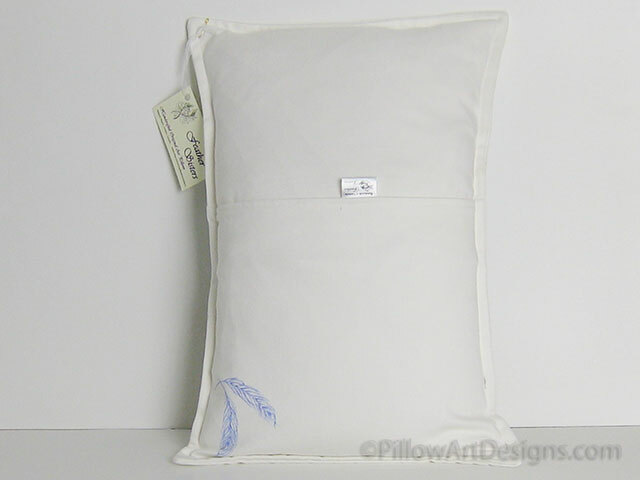 Each original art pillow is signed by Carol and our Feather Sisters logo hand painted on the bottom back corner. hand wash in cold, lay flat to dry, ironing not necessary but may be preferred. Avoid painted area with hot iron. Save on shipping by buying the cover without insert, price is $75 plus shipping to your location. 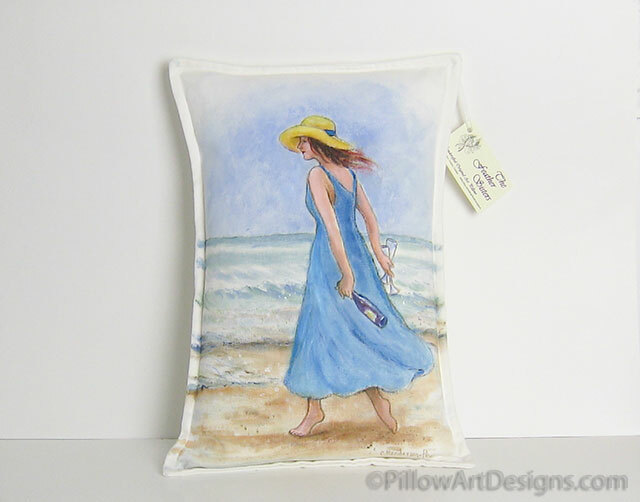 Contact us here to arrange purchase of the cover without the insert.